The following training providers have successfully completed the Save Face Essential Training Curriculum Assessment to confirm that their training courses cover the core aspects of learning outlined within our Essential Training Curriculum Standards. Dr Brian Franks provides Non Surgical Cosmetic training to Doctors, Dentists and Nurses in MANCHESTER, GATWICK/SOUTH AND NOW in the new training rooms in Sterling College. Sterling College is situated in West London which is close to Central London and Heathrow Airport. Dr Franks has provided training courses for over 10 years which is said to be one of the best hands on training courses. Training is also provided around the UK for the large corporate companies such as IDH / MyDentist in their Training Academy in Manchester. We also travel to Newcastle, Edinburgh and Glasgow, Ireland and outside of the UK on special request. Deja Vu Aesthetic Training Academy provides bespoke professional aesthetic training courses in Botulinum Toxin Type A, Dermal Fillers, Medical Skin Needling and Chemical Peels, Mesotherapy and PDO Threadlifts providing expertise in administering innovative cosmetic procedures with professional hands-on training. We enthusiastically welcome applications from qualified medical professionals with an active registration from a professional regulatory body according to HEE recommendations. Whether you are in an established practice or new to the medical aesthetic industry we have a course to suit your needs. Situated in Bristol our location is ideal for those nearby in Bath, Cardiff and Gloucester, but also for professionals residing in the Midlands, Gloucestershire, South Wales and the South West. Professor Khanna was one of the first Dental Surgeons in the World to venture into facial aesthetic procedures utilising Botulinum Toxin and Dermal Fillers. 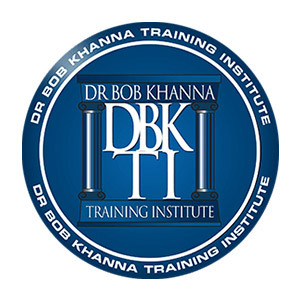 In 1996, due to his success with such treatments, he pioneered many of his own techniques and developed a way in which he could teach his concepts and protocols within a hands on training programme for other medical and dental professionals. Over the last 20 years he has taught many medical and dental professionals all over the world and in turn this has developed facial aesthetics on a global scale. Professor Khanna has authored over 30 publications in both dental and medical journals in the UK and Internationally. He has also authored the Facial Aesthetics Module for the Kings College Aesthetics MSc and is the clinical lead for the FGDP Facial Aesthetics Master Class at the Royal College of Surgeons. He also provides International Consultancy and is a Key Opinion Leader for Galderma.